The product heater component is made of postive Temperature Coefficient electric resistance(PTC). 1,Ensure that your area is safe,clear of obstructions and clean. 2,Ensure that the surfaces that you intend to apply glue to be clean,dry an fee from grease or other contaminants that may affect the strength of the glue bond. 3,The product can use the diameter from 10.8mm to 11.5mm of melt glue. 4,Plug the glue gun into a 110V or 240V electrical outlet. 5,Insert a glue stick into the round hole at the back of the gun,squeeze the trigger on the glue gun a few times to push the glue stick into the Glue gun until it is firmly engaged with the heting element inside the glue gun. 6,After you have waited approximately 5-8 minutes,squeeze the trigger of the glue gun until melted glue begins to flow from the muzzle. 7,As the glue stick is melted by the glue gun,further glue sticks can be inserted into the gun.Do not worry about glue left in the glue gun,this will simply cool inside the glue gun a after use and will re-melt and be used the next time you use your glue gun. 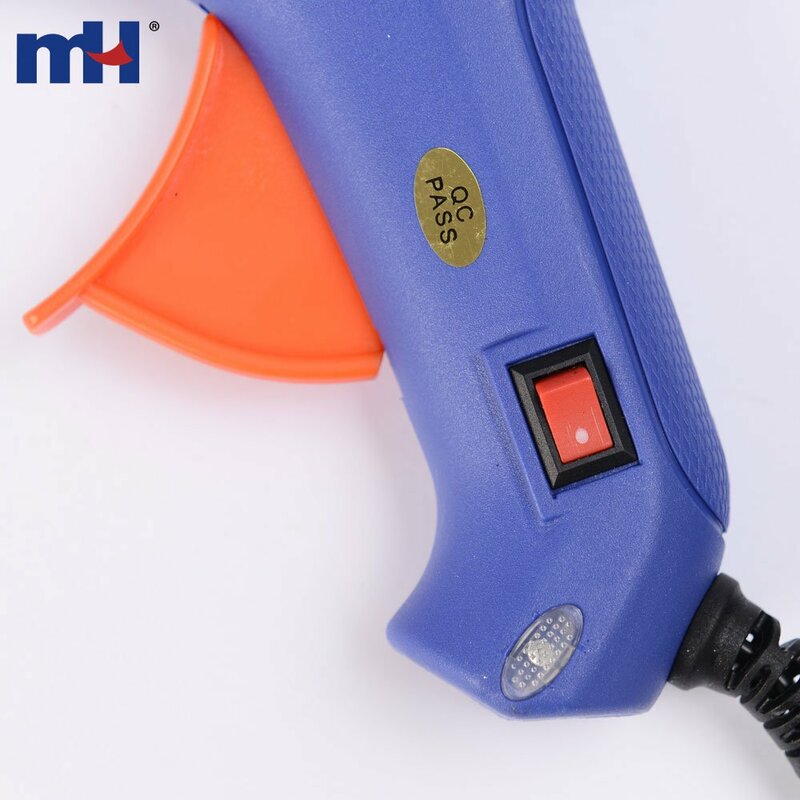 1,This Glue gun works by using high temperature to melt the glue sticks,therefore the nozzle area and the melted glue that comes out of the Glue gun is very hot,(up to 200C). 2,NEVER touch the nozzle area of the glue gun while the gun is in use and even when the gun is unplugged the nozzle area will take some time to become cool enough to touch. 4,ALWAYS protect your surface and your surroundings to ensure that the hot parts of the glue gun and the hot glue de not cause damage. 5,ALWAYS ensure that you are aware of the power cable of the glue gun and ensure that you do not injure yoursele by tripping over the power cable,or inadcertently damage the power cable. 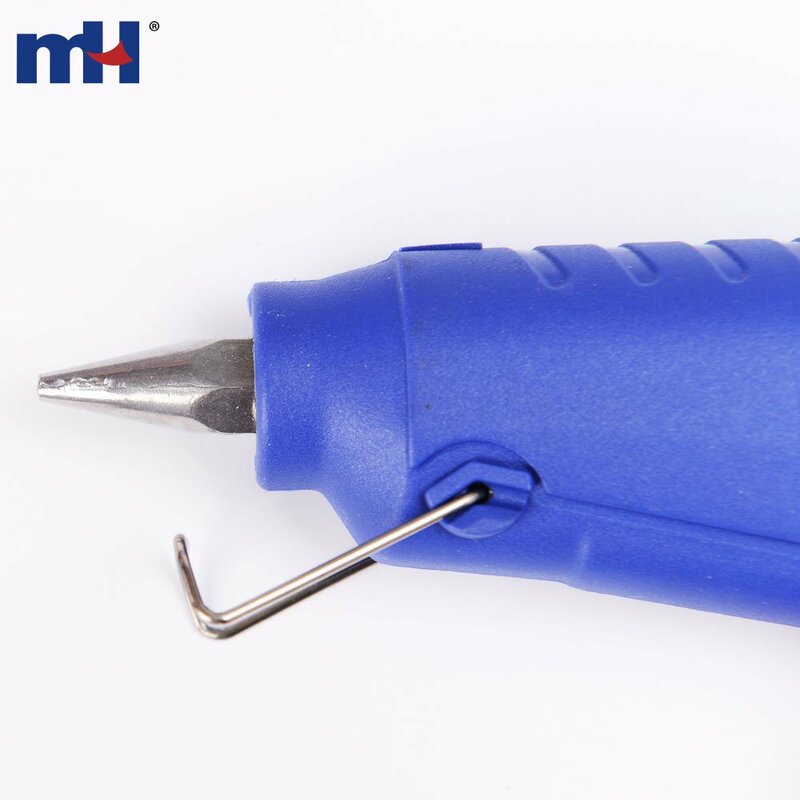 6,NEVER use the glue gun if the power cable,or any part of the glue gun appears damaged or loose.There are no user serviceable parts in this glue gun. 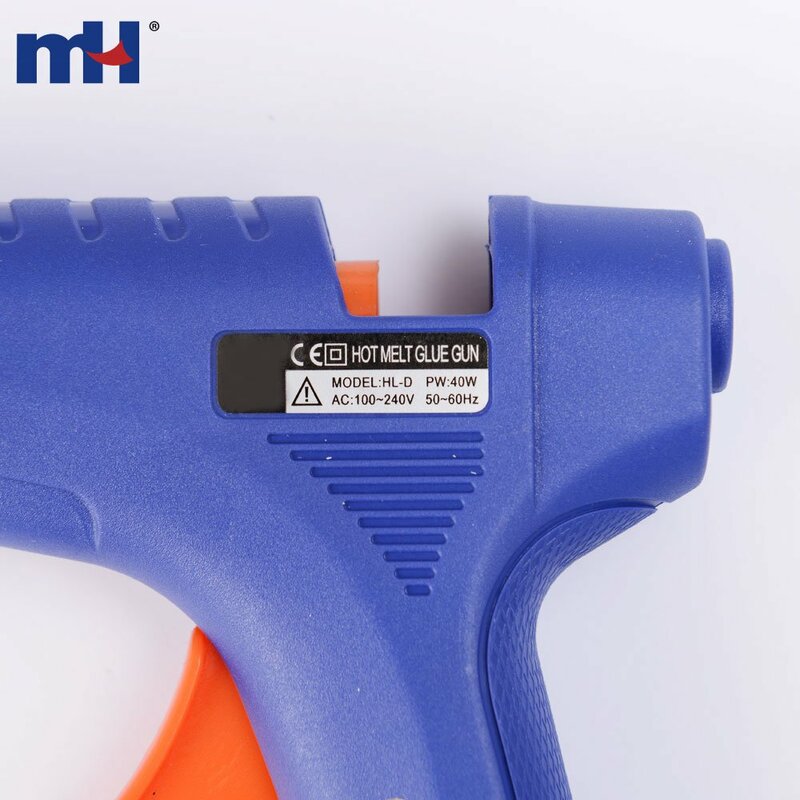 7,ALWAYS ensure that children and animal do not come into contact with the glue gun and risk injury from the hot parts of the glue gun or the hot glue. 8,ALWAYS work safely and protect your eyes with suitable goggles or safety glasser. 9,NEVER store or use the glue gun in damp oe wet conditions. 10,NEVER try to use the glue gun with the nozzle pointing up wards,the nozzle should always be level,or pointing down wards. 11,ALWAYS swith off the glue gun if it has not been used for 15 minutes. 12,PLEASE NOTE,the first time you use the glue gun,it may emiy a little smoke.This is normal and should cease after a few moments.If the glue gun emits execessive smoke unplug it immediately and place it in a well ventilated area to cool down.